All roads lead west, if you look for it hard enough. I’m pleased to find some of the best of the Western World not only in my own urban, urbane backyard, but in places like the heart of Iceland as well. 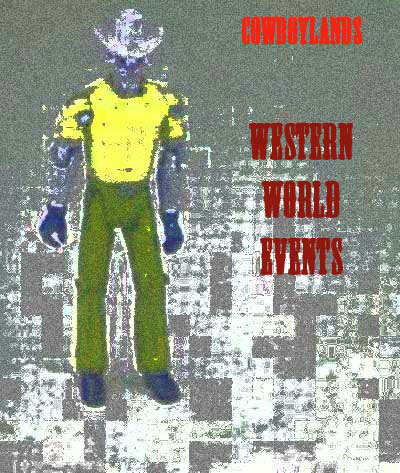 Western World Events has the best of what the west, east, north, or south has to offer. And surely the world is big enough to accommodate patriotic celebrations, far-flung honkytonks, and gay rodeos on one Web site. Take a look, and if you have any additions, give a shout. I may not add something like a family reunion, but have a good time at yours anyway. 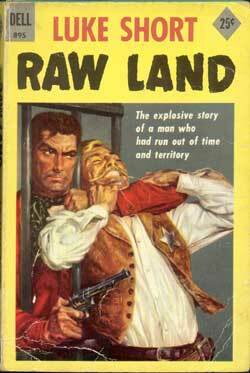 The first Western novel I read was The Virginian, by Owen Wister. I was in pursuit of an original experience, because being a child of the seventies–a decade of pop image, synthetics, and appropriation–what I believed about life was usually a mishmash of half-remembered and vicarious experiences through books, movies, and blacklight posters. I began to hunt for whatever had informed my understanding of my experience of the world, a search without end as any philosophy student will say. Until the laconic Virginian. Why does a discussion about work shifts turn into a showdown? Why would a woman walk behind her man, or adamantly feel she must walk several steps ahead? All was revealed in those pages—actually just hinted at through the actions of humble/noble cowpokes. I knew these roles had some birth in a knightly consciousness, which in turn was an appropriation from an earlier Court of Love, which in turn was a created construct. It was a dusty trail heading into the mountains, with every summit promising to be the last, until I got to its top and saw the trail continuing to another promising vista. Was I, a budding Western scholar, doomed to chase down a phantom and become a Ghost Rider in the Sky? Um, no. I had a full-time job. (whoops—that’s right, had.) This stuff was just plain great to read. And lovely to look at. Take a paperback from a favorite author, Luke Short. More on him later. Check out the scene on the cover. Robert Stanley is the artist. He worked for Dell after their “mapback” and keyhole colophon years, and between 1950 and 1959 he was a major contributor to the Dell look. Explosive, sometimes grim and violent, his illustrations manhandle the viewer. Stanley often used his family for models; while his wife, daughter, or father are not portrayed, the figure on the left, the one giving the hairy eyeball to whoever is standing in his way, is almost certainly the famed illustrator himself. Stanley knew where to find a real man: in the mirror. 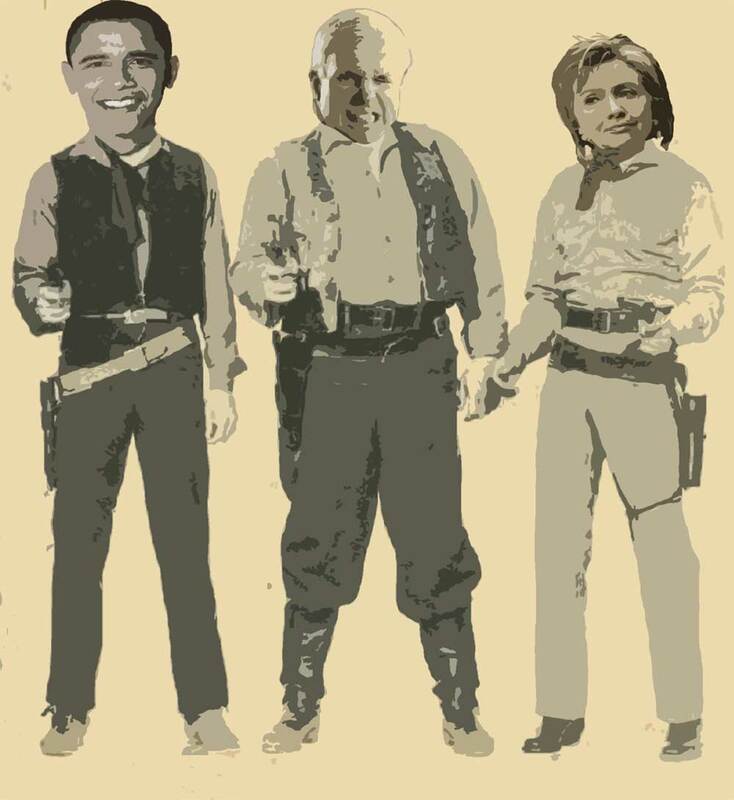 Give this artist a tin star! If you want to be a real man, you now have your example. Break out of your cage. Come out shooting (metaphorically please; no need to get Rambo on us). Do what you have to do. Hairy eyeball and all. In a few seconds the Democratic presidential candidates will be debating levels of elitism, in a few days Congress will be debating the next huge bill tapping billions of dollars for the Iraq War, and in a few minutes, I will have posted my first entry on CowboyLands. Neither as expensive as a war bill nor as contentious as a debate between two people of the same political party, this blog will seek to give a little bit of the West to everyone. Feeling powerless? See what Gary Cooper would say in your situation. Feeling parched for culture? Belly up to top ten lists of western movies, music, and vistas, courtesy of yours truly and any other buckeroo who chances upon this site. Feeling mentally dusty? Hop into the latest Western fetish, collection, and obsession. Ditto on the importance of the contributions of other buckeroos. Feeling like you’re ready to ride the high country ? Saddle up and ride, ride, ride to the farthest reaches of the world to find the best cowboy thinking has to offer. It’s not all going to happen at once, but if the Lone Ranger can beat up all those villains with two bare fists, I can certainly figure out how to post images, video, music, and more. Stay tuned, and happy trails. Jill: What’s he waiting for out there? What’s he doing? Cheyenne: He’s whittlin’ on a piece of wood. I’ve got a feeling when he stops whittlin’… Somethin’s gonna happen.